A2 Milk Co. calls objection to US product claims "unfounded"
A2 Milk Co. has called a complaint about product claims it makes in the US from local dairy trade body The National Milk Producers Federation (NMPF) "unfounded". 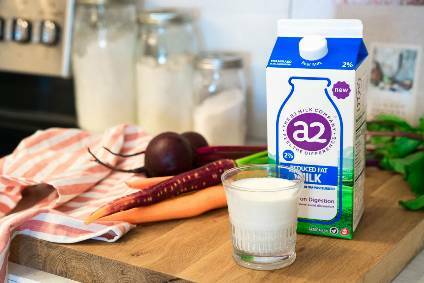 The New Zealand-based business is preparing for the US Federal Trade Commission to look into claims made about the A2 Milk product after a challenge by the NMPF. The federation has argued A2 Milk Co. "falsely promises consumers that its product is 'easier on digestion' as compared to conventional milk and that consumers can 'avoid digestive discomfort' and will 'feel the difference'," the US Council of Better Business Bureaus, which administers the body that looks into claims under the US advertising industry's system of self-regulation, announced this week. That body, the National Advertising Division (NAD), has referred the matter to the FTC. The Council of Better Business Bureaus said the NAD had passed the case to the FTC after A2 Milk Co. "declined to participate in a review of its advertising claims". In a statement sent to just-food, A2 Milk Co. said: "We were disappointed, but not surprised, to learn that a challenge was filed by our conventional milk competitors. The challenge was unfounded and there has been no finding of any wrongdoing by The A2 Milk Company in the NAD decision. While The A2 Milk Company supports industry self-regulation, the primary issues in the challenge had previously undergone extensive regulatory review. We strongly believe in truthful advertising and we will continue to market our products accordingly." 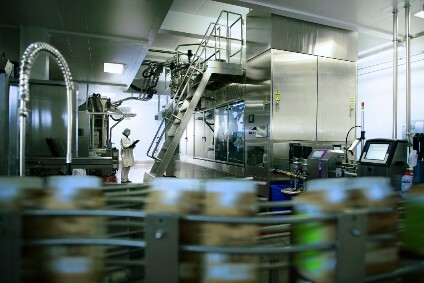 Formed in 2000, A2 Milk Co. has built a growing business in New Zealand and in select international markets - including the US - supplying dairy and infant-formula products that do not contain the A1 protein it claims causes discomfort. A2 Milk Co.'s largest markets are New Zealand, Australia and China. However, it is building a business in the US and recently secured listings with Walmart. A2 Milk Co. does not break out the sales it generates in the US. It did report combined sales for the UK and the US for the year to 30 June, which it said reached NZD32.4m, up 54%. The markets made a combined EBITDA loss of NZD27.6m, which was 23% higher from a year earlier.